Today we have a super simple cat look. 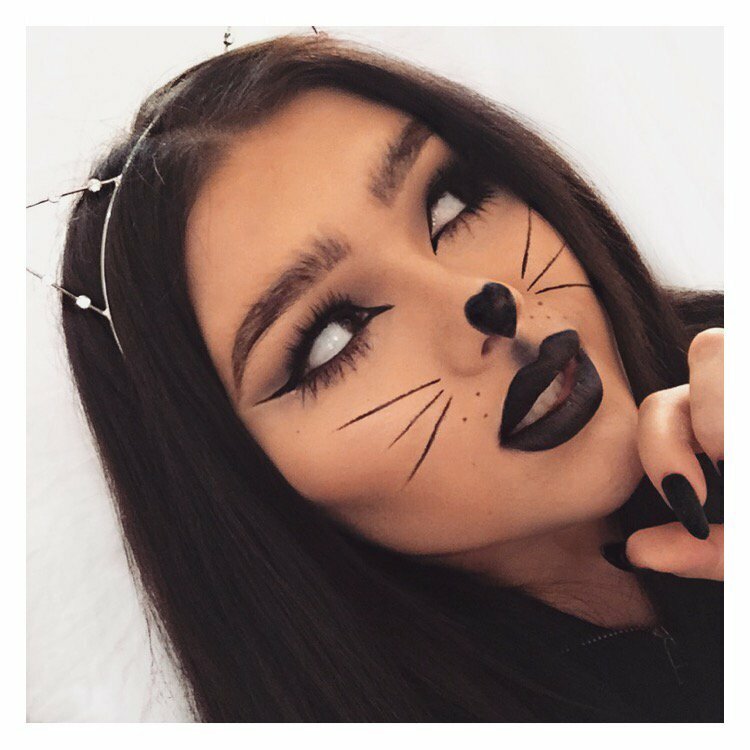 I figured that since I've been a cat / bunny / mouse for the past billion Halloween's, I would have to show you guys a simple cat look. You can really use this look for any kind of animal, just manipulate the colors to match your costume. Step 1 - Start off with your normal face / foundation & concealer routine. Step 2 - For this look I went a head and did a simple eye, using the Urban Decay Naked 2 palate. I applied the matte brown from the palate in the crease and deepened it with the matte black shade. Then I applied "foxy" to the lid. When doing the black in your crease blend it out in an winged motion. Step 3 - Grab your favorite black liquid liner and start drawing a super thick, long winged line. Then extremely extend the liner into your inner corner point, and apply a black khol pencil to your water line. I sharpened the wing and cleaned up any mistakes using a concealer pot by NYX. Step 4 - Next we are going to give this a true cat like effect, by extending the brow hairs and bottom lashes. For this take a dark brown ( which you should first use to over draw the eyebrows and darken them ) for your brows. 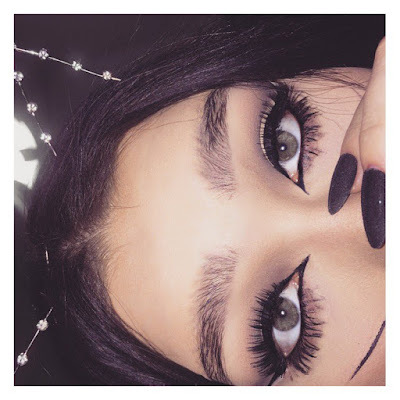 You basically just want to make small strokes, mimicking the brow hairs on top of your brows. This will give them a furry cat like appearance. Then do the same for the bottom lashes, going right under neath your natural lashes with a black eye shadow. Step 5 - Take a black eye shadow and use it to contour your cheeks, chin, temples, etc. Step 6 - This look is so easy because you literally do not need any Halloween makeup at all. For this next and main step of the look all you need is a black liquid or gel eye liner. All your going to do is draw on three little whiskers, and a few dots underneath them. Then trace out a heart on your nose ( if your a cutesy cat ) and fill it in with either gel liner or black eye shadow. Then for an extra effect I put some black shadow on to my cupids bow, just above the lip. If you recreate this look or any other Halloween looks I've done, be sure to tag me @officialsavvyj and use the hashtag #Halloweek .... See you guys tomorrow.